Have you ever tried identifying your “buyer personas” as a company? Well, if you’ve been doing Inbound and Content Marketing over the past years, you likely have at least dipped your toes in these waters. But here is the thing: Most companies are doing buyer personas wrong. And in this interview, Adele Revella of the Buyer Persona Institute and author of the new book Buyer Personas is going to explain why this is. If you’ve ever thought about this subject before folks, this is an interview you won’t want to miss, as it very well may turn the way you’ve identified buyer personas in the past on its head while showing you the “right way” to understand this important subject. Do you struggle with juggling work, life, and family? 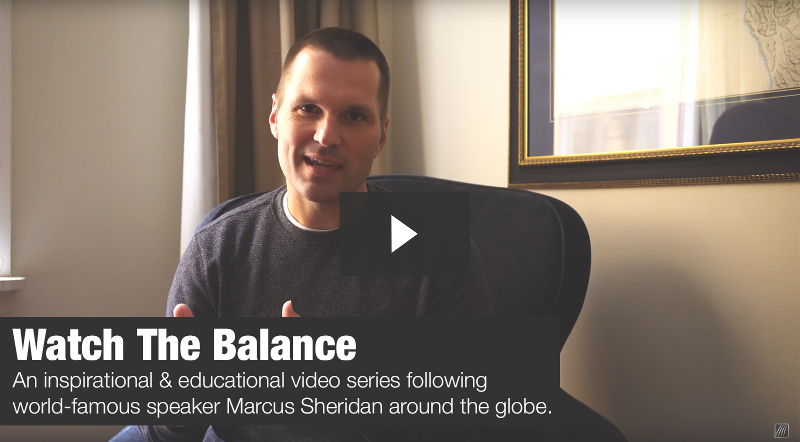 The Balance is an inspirational & educational video series following world-famous speaker Marcus Sheridan around the globe and back home as he strives to find harmony in his personal and professional life.